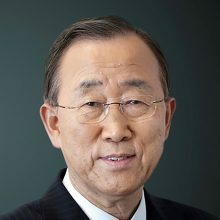 Ban Ki-moon is a South Korean diplomat who was the eighth Secretary-General of the United Nations (UNSG) from January 2007 to December 2016. Before becoming UNSG, Mr. Ban was a career diplomat in South Korea’s Ministry of Foreign Affairs and in the United Nations. As the eighth UNSG, Ban Ki-moon’s priorities were to mobilize world leaders around a set of new global challenges, from climate change and economic upheaval to pandemics and increasing pressures involving food, energy and water. 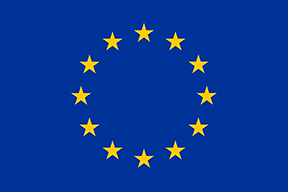 He led the efforts for the landmark Paris Climate Agreement and, under his leadership, the Sustainable Development Goals (SDGs) and the 2030 Agenda were created. Ban Ki-moon currently serves as the Co-Chair of the Ban Ki-moon Centre for Global Citizens which seeks to empower youth and women to become active global citizens in creating a sustainable future for all. In addition, he currently holds over 20 positions, including the Presidency and the Chairmanship of the Global Green Growth Institute (GGGI), and Chairmanships of the Global Commission on Adaptation, the Ethics Commission of the International Olympic Committee, and the BOAO Forum in Asia.